Step 1: Head to the closest hardware store and get the needed supplies. 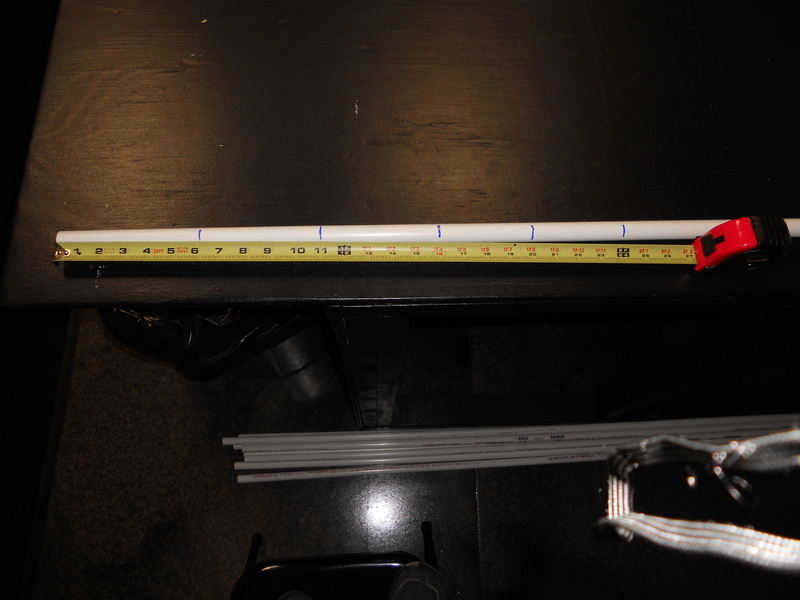 Step 2: Measure and mark your PVC pipe. 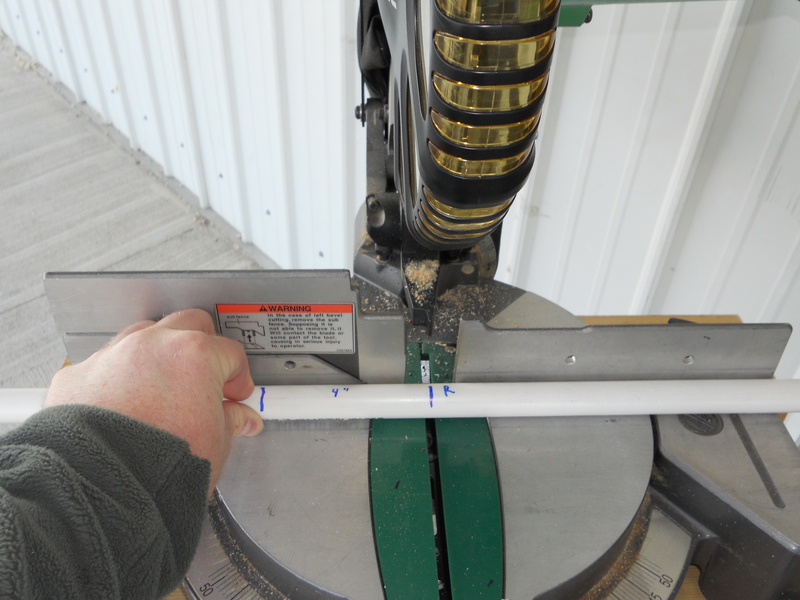 Lay your section of PVC on a flat surface. 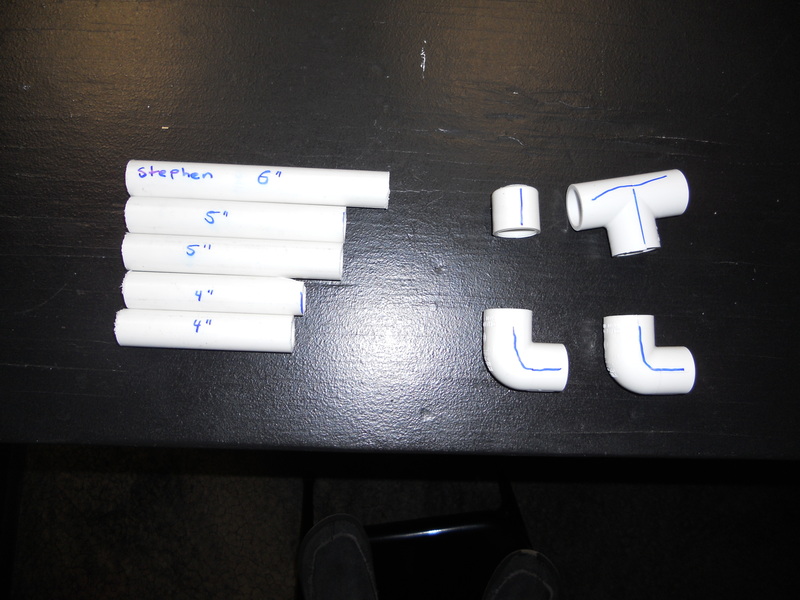 Use a measuring tape and a Sharpie to clearly and accurately mark the pipe at 6″, 11″, 16″, 20″, and 24″. 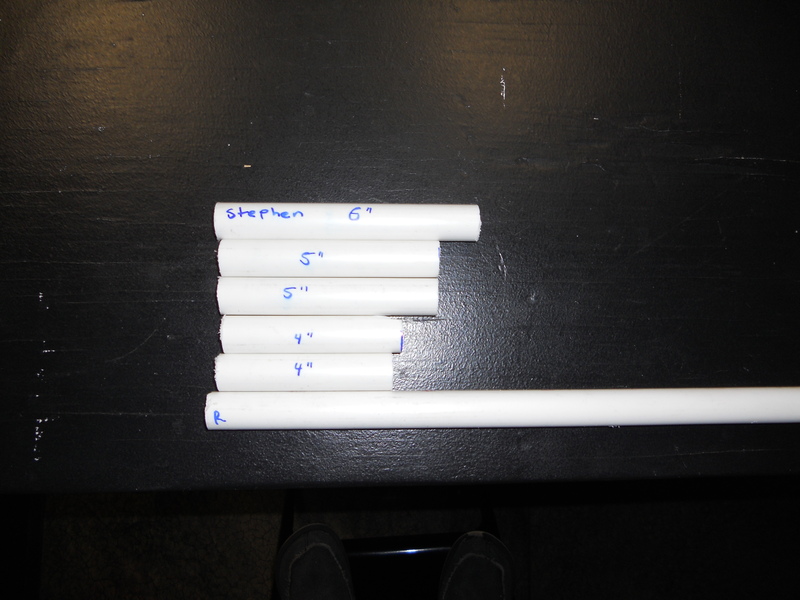 Step 3: Cut your PVC pipe. Use a hacksaw or mitre saw to cut on the lines you made. Sand or file the cut edges to remove any burs and make them nice and smooth. Step 4: Assemble your mini mallow blowgun. 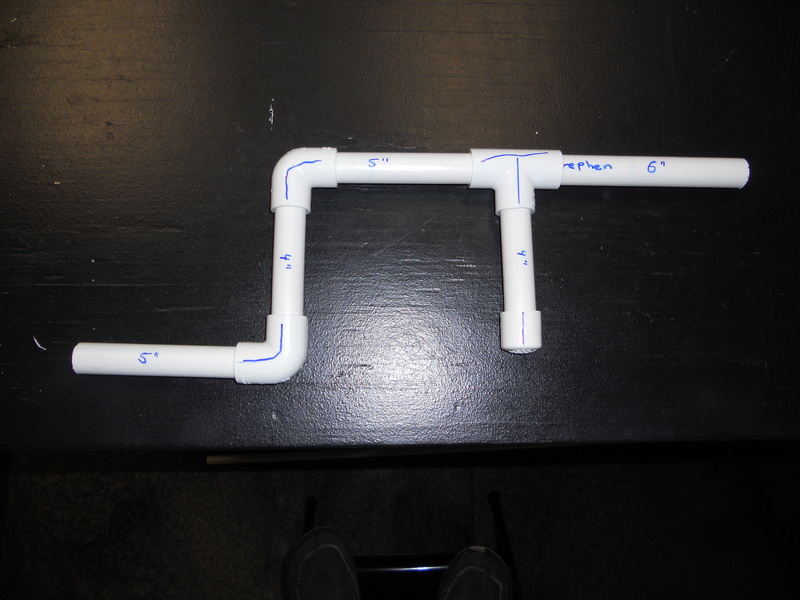 Gather your 5 sections of pipe and the 4 PVC connector parts your bought at the hardware store. Step 5: Take your new mini mallow blowgun for a test run. Load a mini mallow in the back of the blowgun. Use both hands on the two handles, bring the blowgun to your mouth, take aim, and using a forced “P” sound blow the mallow through your blowgun into your target. Go find your friends and family members and use them for mallow target practice. Be sure to use proper and safe technique while using your mini mallow blowgun. Dry mallows work best, so don’t slobber all over them or they will get stuck and gunk up the inside of your blowgun. Do not breath in on your gun once the mallow is loaded, as you could choke. Don’t run with the blowgun in your mouth. And avoid shooting people in the head and face. 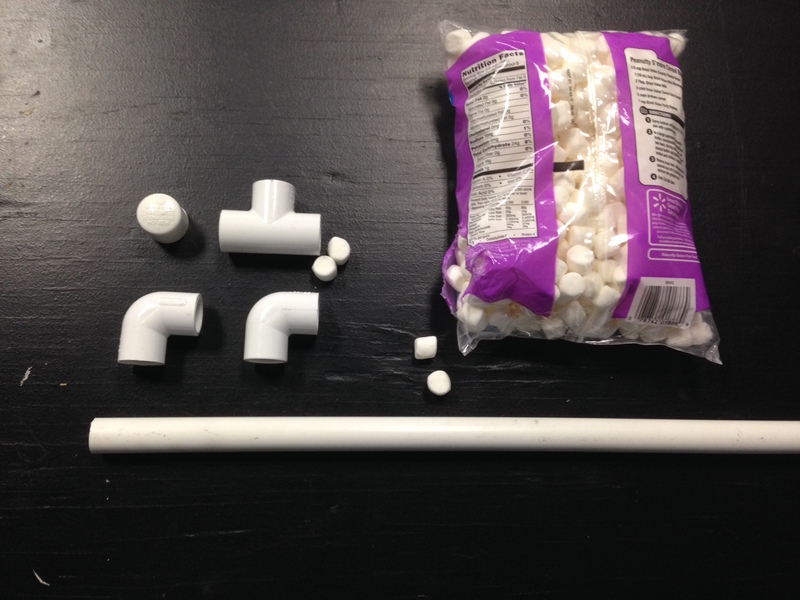 This entry was posted in Me(rcy), Student Ministry and tagged blow gun, blowgun, catapult, how to make, howto, instructions, launcher, mallow, marshmallow, pipe, popper, pvc, shooter, step by step on September 17, 2014 by Stephen C. James.